Wilton, Conn. – January 8, 2018 – GT Bicycles, a premium brand of Dorel Industries, Inc. (TSX: DII.B, DII.A), and GT Factory Racing (GTFR) today announced the 2018 team roster. New riders George Brannigan of New Zealand, Noga Korem of Israel, and Joey Foresta of the United States join the team with current and proven GTFR riders Wyn Masters (1st at the EWS in Rotorua) and Martin Maes (6th overall for the 2017 EWS season). A two-time New Zealand National MTB Champion, George Brannigan brings his rowdy DH racing and competitive spirit to GTFR. Over the years, his speed has led him to several top finishes including 1st at the Crankworx Rotorua AirDH in 2016 as well as 2nd at the UCI-Oceania Continental Championship that same year. In 2018, Brannigan looks forward to elevating his game and earning some World Cup podiums. A former cross-country racer, Noga Korem will add her vigor and bubbly personality to the GTFR team. Acting as a privateer on her first EWS circuit in 2017, Korem showed tenacity and her passion for enduro racing as a fully self-supported rider and travelling solo. She turned heads when she received her first podium at Round 3 of the 2017 EWS in Madeira as well as the EWS Breakout Performance Award. A 16-year-old ripper from Utah, Joey Foresta has been a part of the GT program since he was a six-year-old racing both BMX and mountain bikes. The young rider has already left some big footprints on the mountain bike scene with numerous national championship titles and a standout performance at the 2016 Sea Otter Dual Slalom. Foresta took 2nd place next to winner and new teammate Martin Maes. In 2018, Foresta will jump into his first year as a Junior by hitting a full UCI DH World Cup season under the mentorship of Wyn Masters and George Brannigan. Since its inception, the GT Factory Racing program has been centered on having maximum fun on the mountains and racing at the best events. This year’s roster remains committed to the love of riding with a focus on performance and victory. As a new chapter begins for GT Factory Racing, another ends, and GT will say goodbye to athletes Anneke Beerten, Sam Dale, Jackson Frew, and Brook MacDonald. Rachel Strait will continue with GT and bring her enduro expertise to the GT’s Wing Project joining ambassadors Hans Rey, Tyler McCaul, Ronnie Renner, Bernardo Cruz, and Amir Kabbani. For more information on GT, its pro riders and the bikes they ride, visit www.gtbicycles.com. 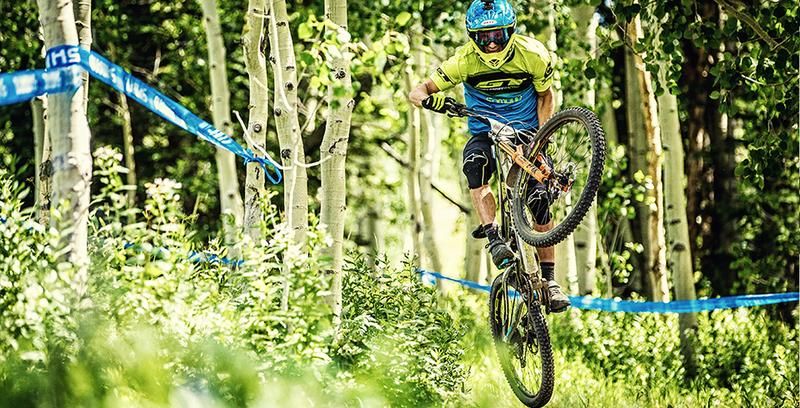 Check out GT Bicycles on Facebook, Twitter, Instagram and YouTube, and follow GT Factory Racing on Instagram.